Yesterday, we reported on a leak of possible new DLC for Smash Bros. This leak included everything from new costumes, to new characters, to new levels. We’re happy to report that not only is the DLC official, but it’s now available. The new content was revealed as part of Nintendo’s live Smash Bros stream this morning. 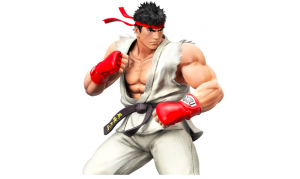 Basically Smash Bros players can now get 7 new Mii Fighter Costumes (including Jacky and Akira from Virtua Fighter), a classic Smash Bros stage, and 3 new characters, including Ryu from Street Fighter. There is even a free Miiverse Plaza stage available. Click below to see the prices. The stream also revealed that several new amiibo will be released this fall, including R.O.B, Mr. Game and Watch, and Falco. Powet Presents something that’s not very standard fare for the site (or me, for that matter), but is close enough to geek topics near and dear to our hearts. Powet Presents a repost of one of our most popular videos… A tribute to R.O.B. on the NES. Since his inclusion in Super Smash Bros Brawl, a lot of people have been looking for more information. He’s become an increasingly popular cameo in first-party Nintendo games, but what the Hell is R.O.B.? How does it work? Have you ever played Gyromite without cheating? Original Post from June 29, 2006: Gaming Archaeology: R.O.B. Aside from being one of the Powet Editors here, I’m also a sometime journalist, keeping tabs on local games news for the Madison, WI free newspaper The Isthmus and its web counterpart The Daily Page. 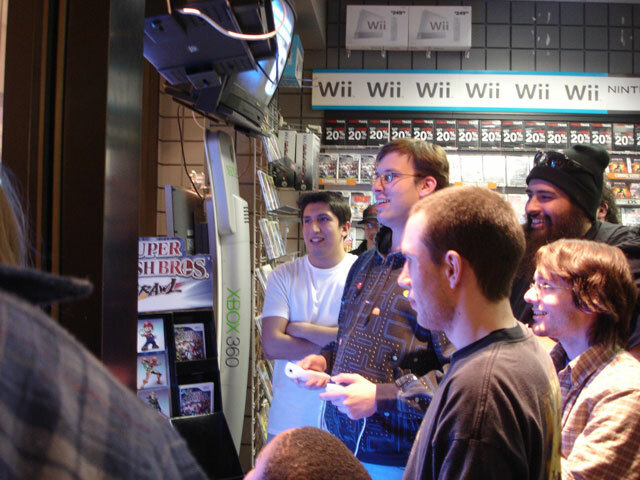 This past weekend I wrote about the Smash Bros midnight release and the turnout of local gamers, and thought you Powet readers might be interested. 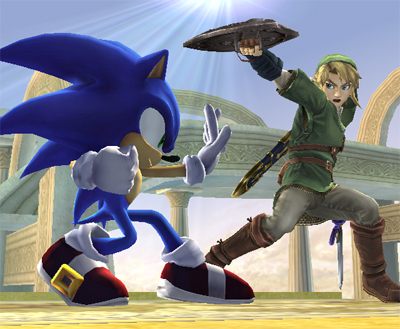 Be aware that both the following movie and link contain unannounced characters returning to Brawl. North America has to wait for March 9 to get a mouthful of Brawls, but the release is mere moments away in Japan. And so the intro movie from their version of Brawl has floated on to the web. Also, Kotaku has scans of several pages of the manual which you can see here. The latest update from the Smash Bros creator Masahiro Sakurai is quite unpleasant. Due to delays in the completion of Super Smash Bros. Brawl, we�ve had to change the release date of the game to Sunday, March 9th. I deeply apologize to the people who have looked forward to playing the game for so long and ask that you hold on just a little longer. Thank you for your patience. Ok, so the update was pleasant, its just the news thats bad. Put a new mark on your calendars kids. 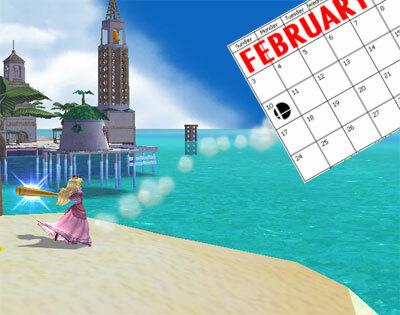 You’ve got an extra month to collect your Mario Galaxy stars, practice Rock Band drumming, and find Drake’s Fortune. Read: Smash Bros . DOJO!! Sonic The Hedgehog has been the most wanted character not just for Super Smash Bros Brawl, but even going back to Super Smash Bros Melee. 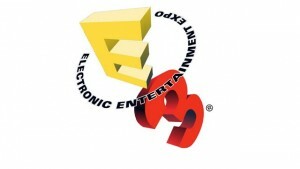 The second Sega became a 3rd party publisher for Nintendo, people knew it was possible. And soon Sega is publishing Sonic and Mario at the Olympics, which is fine for a fair competition. But the one wanted is to see Sonic fight Nintendo classic characters hand to hand, thus bringing to life the console wars from generations ago. On the not-so-bright side, the Japanese date for the game has been revealed as January 24, with the US release now stating “TBD” instead the previously announced December 3rd. A delay would be uncomfortably, but not unexpected. Nintendo has a consistent track record of piling on delays to get the game RIGHT. At least we’ll have The Olympics this year.